How to Watch FIFA World Cup 2018 in USA – Its Game Time! Billions of people across the globe are waiting in anticipation of the biggest of sporting event of the world i.e. The Fifa Football World Cup 2018. This time, the event is taking place in Russia but it will be broadcasted across the globe in a momentous feat of sporting coverage. If you are a football fanatic residing in the US, then you can either see the matches live on your Television through official broadcasters or opt for a powerful streaming/ IPTV provider. If you wish to stream the World Cup Live Online, Match TV is offering free stream without any subscription in Russia. We recommend you use a VPN & change your location to Russia to enjoy hassle-free streaming of the World Cup games instantly! 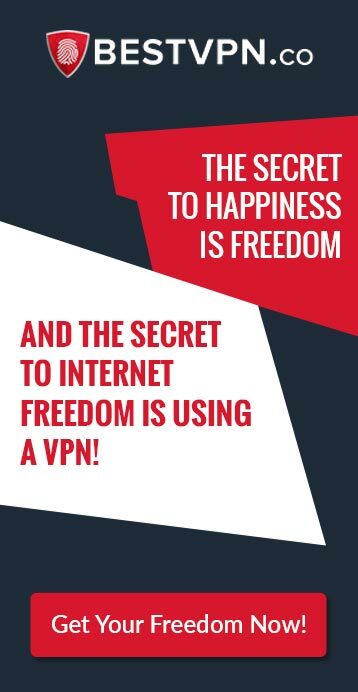 However, most streaming websites are geo-restricted so you will definitely need a Best VPN to access them easily. Here is a comprehensive guide on how to watch FIFA World Cup 2018 in USA containing multiple viewing options you can definitely count for delivering a high quality and uninterrupted viewing experience without cable. Dont miss out the chance to watch fifa world cup opening ceremony. Viewers in the United States and its territories will have only two options when it comes down to the channels that have the official broadcasting rights to the FIFA World Cup 2018. Fox will be covering the matches in English while Telemundo is going to broadcast live matches in the Spanish language. Here is a dedicated schedule of the FIFA World Cup, complete with day and date, beginning time (Eastern State Time), playing teams, group, channels that will broadcast the match and the best fifa world cup vpn for unblocking geo-restricted streaming sites from outside the US. If you can’t watch the Fifa World Cup at home on the official channels, then there are some Best streaming sites that will broadcast all the games online, allowing you to watch your favourite tie-up with ease, anywhere. You might find region restriction while you try to stream on the channels mentioned below, so use a VPN service to unblock Channels and enjoy your favorite streams live online. Perhaps the most reliable streaming service on the list, DirecTV will be showing the Fifa World Cup 2018 live on its site for viewers in the US. It will also make the Fifa World Cup available for streaming for residents of the Caribbean region. By signing up with this provider, you will get unhindered access to multiple top of the line features like 2 simultaneous logins, easy to use channel guide option, 20 hours of allowed recording time, which will definitely come in handy for watching the highlights or reruns of any match you might miss out on. Currently the subscription is being offered at just $10/month for the first three months of subscription and after that, your subscription will cost you the regular $35/month. There is also the opportunity of availing a 7 day refund policy for new subscribers to the service. For viewers outside the US, DirecTV’s FIFA World Cup Streams won’t work if you don’t have a Best VPN with you. Get a powerful VPN that has good enough US servers and only then you can enjoy FIFA World Cup on DirecTV. A US-based provider, Sling TV has now started offering a special streaming service for the FIFA World Cup. This seamless provider has always had the luxury of enjoying maximum customer loyalty owing to its unflinching commitment towards providing the best experience with zero breakdowns. However Sling TV cant be accessed from outside the US, so if you want to watch the FIFA Stream on Sling TV, you will need to subscribe to a Best VPN in order to unblock the geo-restricted site. It will be broadcasting all the matches live on its website. The cost of subscription with ESPN+ starts from as low as $4.99/month. ESPN+ wont be able to work for you as a reliable streaming option for the FIFA World Cup unless you use a Top VPN to ensure a seamless, unhindered experience. Fox has the official and exclusive rights to broadcast the FIFA World Cup in the United States of America, so its obvious that they will definitely offer a live streaming option for the event on their streaming service i.e. Fox Sports Go. If you already have a Fox subscription, then you don’t need to worry anymore, as you’ve now got a holistic viewing package on both your TV and streaming devices. 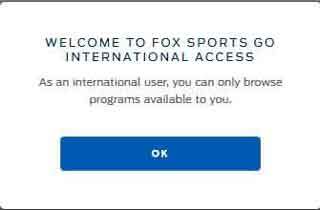 But, Fox Sports Go, like other sites broadcasting the Fifa World Cup on their streams, is geo-restricted and while you may have access to the site as an international user, you wont be able to watch the Fifa World Cup’s live stream on the site unless you go through with a Top VPN. The NBC broadcasting groups owns Telmundo, a channel which has the official rights to broadcast the Fifa World Cup in 2018. NBC also has a streaming site named NBC sports, which will be making the live streams of World Cup matches available to viewers on the go in the US. You will also need a Top VPN for this one in order to gain uniform access throughout the tournament to a worthwhile viewing experience. A major media network, Fox offers a wide range of viewing peripheries including dedicated channels for news and sports. This time round, Fox has acquired the exclusive rights to beam the Fifa World Cup 2018 in USA, so if you don’t already have a subscription to the service, you need to buy one as soon as possible in order to be able to watch all the matches from the tournament easily. While Fox will offer matches in English, Telemundo will specifically cater to Spanish Speakers for the Fifa World Cup 2018, making for a more diversified viewing experience in the US. 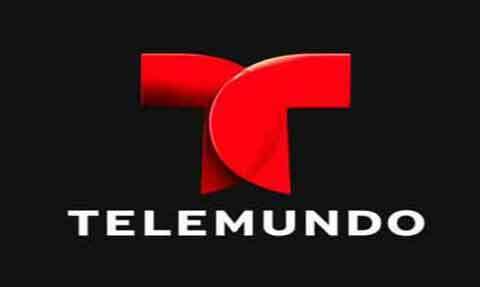 Telemundo is a subsidiary of the NBC network and has been really popular with the masses since its inception. 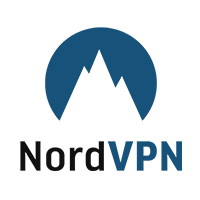 Kodi is a very popular media-ware that allows you to stream anything from movies to TV shows with incredible ease. 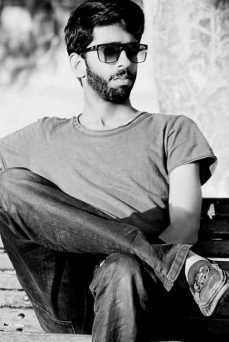 It does that through its highly diverse repositories containing thousands of valuable add-ons. You can use Kodi on any device imaginable, allowing for the best viewing experience irrespective of wherever you are. If you are thinking whether you can watch the Fifa World Cup 2018 on Kodi, then you need to read our exclusive guide on how to watch Fifa World Cup on Kodi, containing multiple add-ons that can allow you to live stream all the matches from the mega event. If you are a Football fan from the US and want to travel in russia or anywhere in the world when the Fifa World Cup is taking place, then you will need Top VPNs to bypass internet restrictions in Russia. Here is our cumulative guide on how to bypass internet censorship while travelling in Russia. It has featured Best VPNs for Russia that will allow you to unblock geo-restricted websites like the ones that offer live streaming service for World Cup. Disappointingly for US fans, their national football team didn’t make it to the main competition in Russia, but still, the World Cup will offer plenty of exciting moments with its legion of star players and top team to keep you hooked on from start to finish. Love of the game is where this event will find its due. Our guide on how to watch the FIFA World Cup in USA is a small step towards allowing people from across the globe to watch their favourite game with the utmost ease. We have included all the valid options to watch FIFA World Cup in USA that will definitely give you plenty of choice to choose your favorite hook up option for streaming the matches. If you have any further questions related to the blog, then feel free to comment in the thread below. Its Game Time!